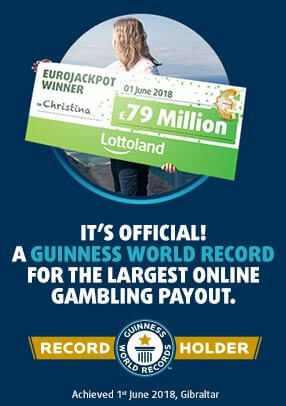 Play for bigger and better prizes in this follow-on from Cash Buster! Roll the dice and destroy the blocks, and with two mini-games and more instant prizes, there are more opportunities than ever to win! 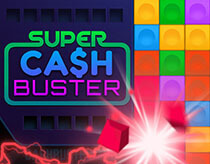 Kick the cash up a notch with Super Cash Buster! Collect the colours by blasting the blocks, and play two new mini-games to keep the chances coming! After each roll of the dice, a colour is shown on the front face of the dice. Any block of that colour in the CASH BUSTER ZONE will be destroyed along with any adjacent blocks of the same colour. After blocks are destroyed the corresponding slots in the prize table are filled. For example if you destroy 5 red blocks, 5 slots will be filled on the red row of the prize table. Destroying an “Extra Roll” block gains another roll of the dice. Destroying a block with a prize amount on wins that prize. Destroying a MINI GAME block enables you to play a mini game. Filling a row on the prize table. You win the prize amount shown for that row.